Almagre Mountain Plumbing & Heating is a licensed Commercial & Residential Mechanical Contracting company in Douglas, El Paso, & Teller Counties. We are located in the Colorado Springs area, if the situation arises, we can obtain licensing for almost any area in the State of Colorado. Along with our other services, we offer gas piping services for residential and commercial properties. Pikes Peak Regional Building Department requires all installers and repairmen to obtain a Mechanical I Gas Fitter’s License to install, test, and repair fuel gas piping systems within it’s jurisdiction. In addition to the MECH I Gas Fitter’s License, Gas Fitter’s are required to work under a Mechanical Contractor in possession of, at a minimum, a Mechanical “C-1” contractor’s license. Along with our other licensing, our Mechanical “A” contractor’s license permits us to install just about any gas piping system you can imagine. 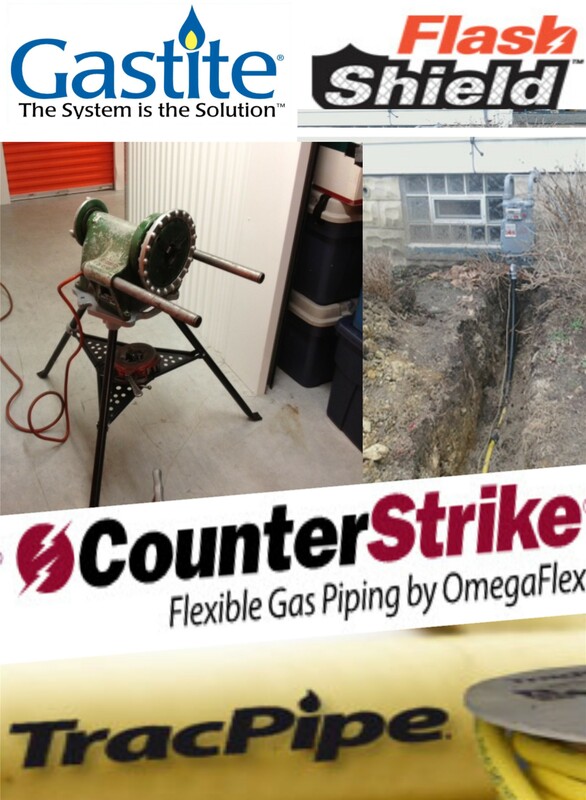 From indoor gas piping, to underground gas piping . . . frombranchlines for dryers and stoves . . . to gaslines for firepits and BBQ Grills . . . we have the ability to install it. Property sat vacant too long? Gas meter locked by the utility company? No Worries!!! Be sure to ask about our unparalleled rates for the release & reconnection of locked gas meters. We can have your gas piping system tested and inspected in order to get your heat and hot water restored.